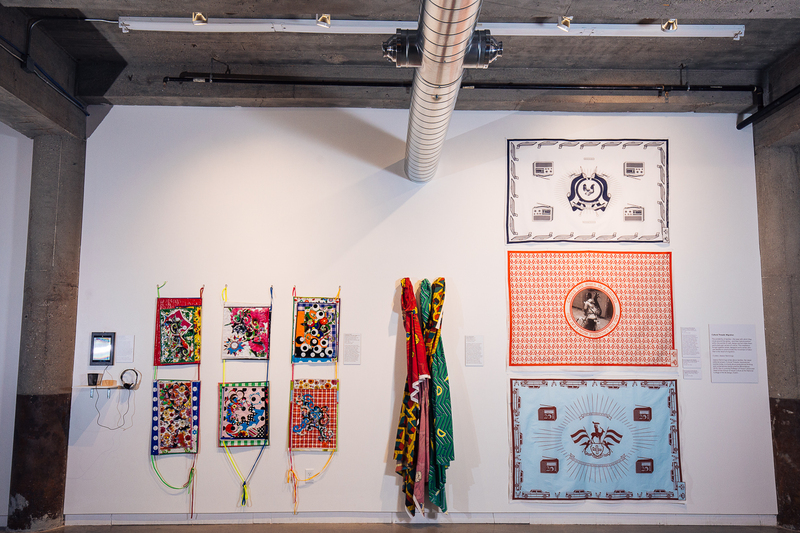 Monday – Friday, 9 a.m. – 5 p.m. & Saturday, 1 – 5 p.m.
As a collective exhibition, FIBER provided a diverse and engaging sampling of the ways in which textiles and fiber art serve as a canvas for various expressions of culture and the creative process. Throughout human history, whether as intimate artifacts of interpersonal relationships or monumental works of art, fiber art and design has been imbued with social importance. Fiber arts can communicate and construct status, ethnicity, gender, taste, and wealth and have functioned at the nexus of artistic, economic, and political achievement in human culture. Divined by both hand and heart, fiber art and design has been instrumental in generating, supporting, and challenging mankind’s wardrobe of social power. 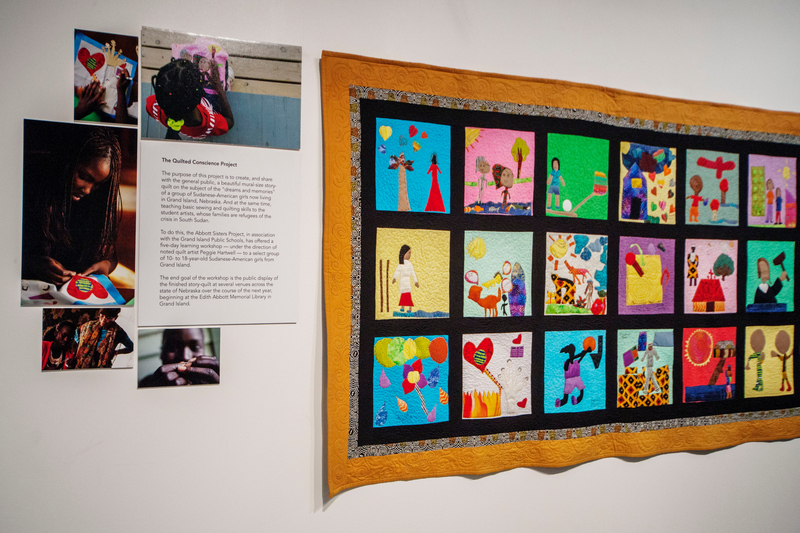 The exhibitions featured in FIBER included Florabunda, Fiber Legends, Global Threads, American Tapestry Biennial, Fabric of Survival, & The Quilted Conscience Project. 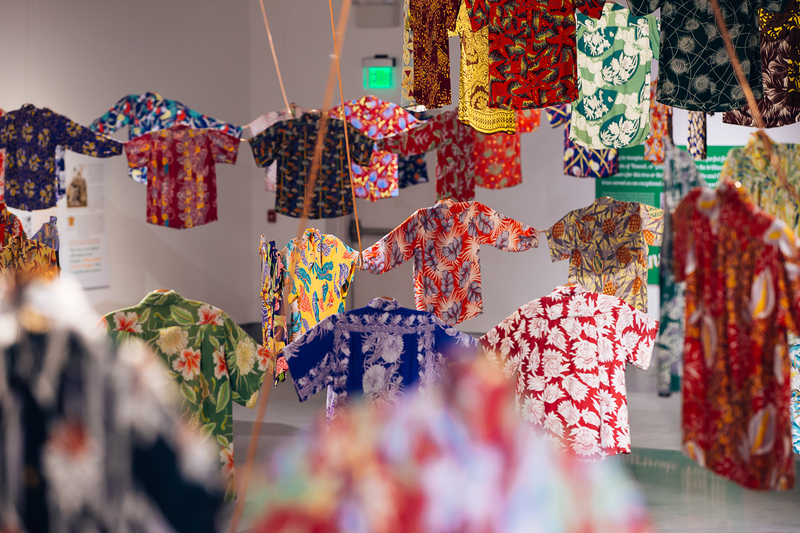 Florabunda showcased the bright designs of historically prominent fabric designers during the golden age of the Hawaiian shirt, exploring the artistic and cultural significance of this form of fabric design. In addition to the garments on display, this exhibition featured historic photographs and informative video to glean insight into the designers’ creative process and production of the fabric and shirts themselves. Fiber Legends explored the different ways in which fiber art conveys movement, captures and transmits culture, and functions as fine art through the works of Nick Cave, Sheila Hicks, and Jon Eric Riis. 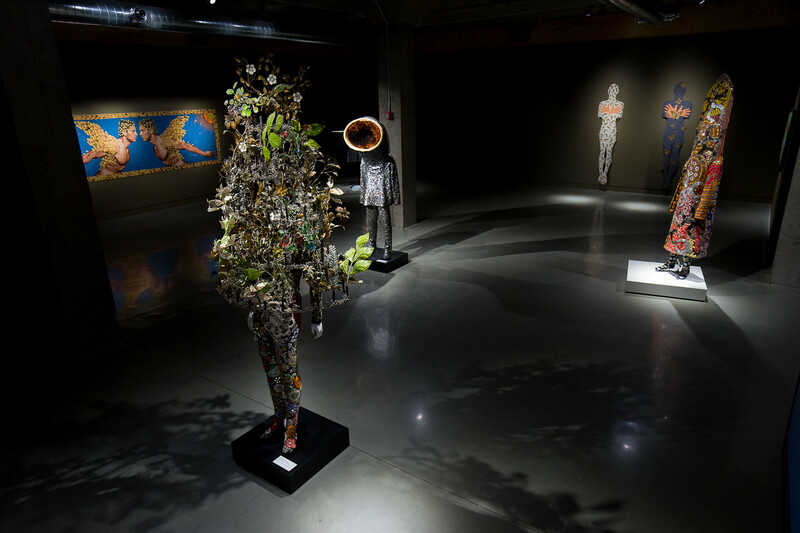 The Global Threads exhibition consisted of the works, collections, and scholarship of several FIBER artists from around the globe, including Yoshiko Wada, Jessica Hemmings, Mary Zicafoose, and Susan Knight. 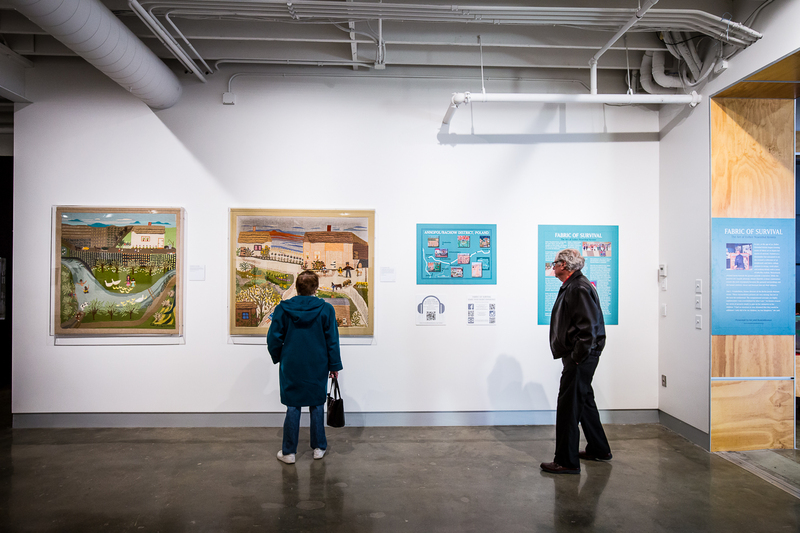 This biennial, international, juried, traveling exhibition was sponsored by the American Tapestry Alliance and highlighted the best of international contemporary handwoven tapestry. 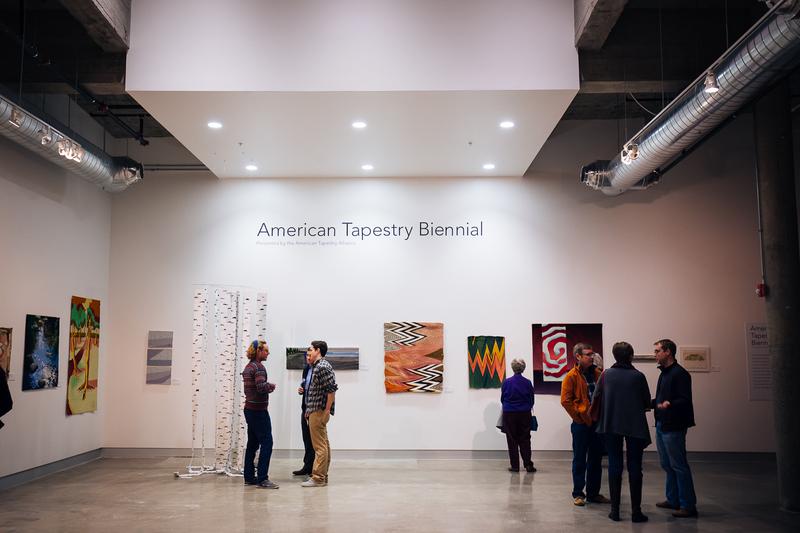 The work exhibited in the 10th American Tapestry Biennial was a testament to the vibrancy of tapestry practice across the United States. Produced in collaboration with the Institute for Holocaust Education, Fabric of Survival highlighted the work of Esther Nisenthal Krinitz.